Editor's note: in the original book this has the code 475-6.
as for coach builder (private carriages). as for cart builder ; cf. wheelbarrow builder (474). (ii) makes body of Bath chair, etc., throughout i.e. prepares wooden parts, by hand, with woodworking tools, and assembles them. receives wood, prepared by woodworking machinist (486) q.v., and builds up, by hand, with woodworking tools, according to design supplied, into framework, lining, floors, and other wooden parts of bodies of coaches, carriages, motor cars, railway carriages, tramcars, perambulators, etc. ; cuts or chisels each part, if necessary, with saws, chisels, etc., to make it fit more perfectly; fits 'them together with bolts, screws, etc., and fits in wood panels and moulding on metal parts; sometimes specifically designated, e.g. bassinette body maker, coach body maker, motor body maker, perambulator body maker. smooths surface of car or carriage body, after it has been built by body builder q.v., with glass paper or with pumice stone or powder, or by filing or planing; prepares surface for polisher (478) or painter (593) q.v. ; in repair work cleans off old polish, and prepares surface for re-polishing; cf. mounter. see coach builder (private carriages). fits brakework, axle-boxes, and other metal parts on under-frames of railway carriages. builds body of cart, see body builder, and adds axles, wheels, shafts, etc., thereto; work often done by wheelwright, q.v. 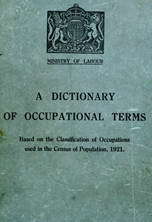 general term for workers engaged in building or making carriages or coaches, including body builder, body fitter, mounter, coach body mounter q.v., and also coach trimmer, coach upholsterer (504) q.v. fits and bolts wooden body on to chassis frame, and fits packing and timber bolsters into bogies; also fits brakes and general details on to carriages. cuts out felloe (segment of rim of wooden wheel) direct from rough timber with hand tools; obsolescent. marks out shape of felloe (segment of run of wooden wheel) on plank of wood and cuts out with hand frame saw; sometimes done by band sawyer (481) q.v. fits handle fittings, number plates, etc., on vehicle after it has been painted, working by hand, with hand tools; cf. body finisher (593). fixes in position, fittings and attachments of carts, carriages, or other vehicles. a cart builder q.v. who specialises in making milk floats, and other tradesmen's floats or light carts. a body builder q.v. principally engaged in fitting splash hoards, foot steps, tool boxes, brackets, and other accessories to motor cars. builds up, from prepared parts, rolling stock used for conveying horses on railways, and repairs such vehicles, as required; work usually done by body builder q.v. repairs woodwork of horse boxes, and fits new or repaired ironwork thereto, as required. see Bath chair maker; cf. invalid chair maker (473). fixes body of carriage, cart, motor, or other vehicle to its chassis, or undercarriage, by hand, using hand tools, screws and bolts; also fits mudguards, etc., before painting. a cart builder or dray builder q.v. principally engaged in carrying out repairs, by hand, to carts, drays, floats, etc. places strips of wood (ash or elm) in steam chamber and withdraws them when sufficiently softened; places them in clamps and, by bending and screwing up tightly, shapes them into half circle on block; removes from clamp when dry. softens wooden spokes in steam chamber and bends them to shape after they have been rent or cloven from baulk; obsolescent. cuts wooden spokes out direct from rough timber, with hand tools, splitting the wood the way of the grain. shapes spoke, by hand, from square block of wood by cutting away edges with small side-axe; finishes by trimming surface with spokeshave or draw knife; mortices end of spoke for fixing into hub and felloe; sometimes done by machine by wood turner (486) q.v. a cart builder q.v. who specialises in making timber carriages, i.e. wagons used for carrying tree trunks, baulks, and other large pieces of timber. bores hub of cart wheel on a wood lathe to receive axle, and attaches metal bushes thereto. receives hubs (stocks), spokes and felloes ready made; mortices hub by hand or machine; fits spokes into holes thus made; mortices felloes to take other ends of spokes and fits felloes to spokes; drives wooden or steel wedges into morticed holes to fix spokes firmly; smooths over work with plane, rasp, and sandpaper in readiness for tyre-smith; in some cases may also make spokes, hubs and felloes; cf. felloe cutter, spoke cutter, and stock maker (wheels) (486). mortices hub and fixes spokes of cart wheels into wheel centres; obsolescent; usually done by wheel builder q.v. cuts out wooden or papier mache blocks to fill spaces between tyre rim and boss, and fits together parts of railway carriage wheels. assembles wooden parts of carts, vans, etc., prepared by sawyer (481) or by woodworking machinist (486) q.v., and fits these parts together by hand, with hand tools, to make complete vehicles; often also does work of a wheel builder q.v.